Before we get to the winner of The Great Fig Giveaway let's talk about how we used the rest of the fresh figs. We made a grilled pizza topped with blue cheese, fontina, sliced figs & prosciutto. Once the pizza was cooked I drizzled a little honey over it, so good! I tried a cocktail called The Flying Fig which I found on Chow. It wasn't bad though the seeds were a little interesting in a drink. 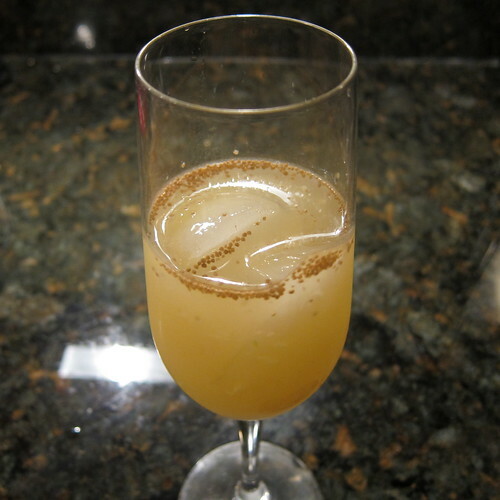 I also made Matt a Fig Rickey from lime juice, whisky, muddled figs & club soda, which he thought was pretty good. We also made another batch of fig jam using the Kadota figs. We used the same recipe as before but this time we added 5 seeded & chopped jalapenos & left out the cinnamon. I think it might be my favorite batch. 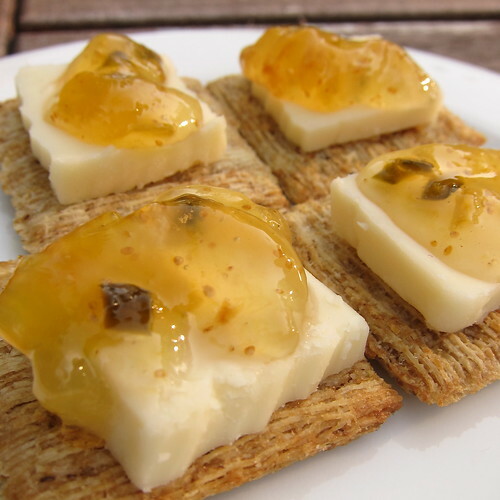 It made for a great snack with some sharp cheddar on crackers. Finally, we ended up freezing two bags of figs to use in baking later. I read that figs should be dipped in a citrus solution before freezing to prevent the color from changing but since I was only going to back with them I didn't worry about this. I froze the figs on a baking sheet until solid & then put them in freezer bags for longer storage. Ok, without further ado the winner to the fig package from the CA Fig Advisory Board according to the Random Number Generator is #22 Lindsay. Lindsay I'll be emailing you for your address. *Disclaimer: I was given free figs by the CA Fig Advisory Board & also a set of figs to giveaway. I was not paid in any way or required to write about the figs or host the giveaway. Great idea to freeze extra fruit. Congrats to Lindsay! Yay for FIGS and yay for Lindsay! I made a delicious fig pizza w/ ricotta and drizzled balsamic on mine. Delicious! 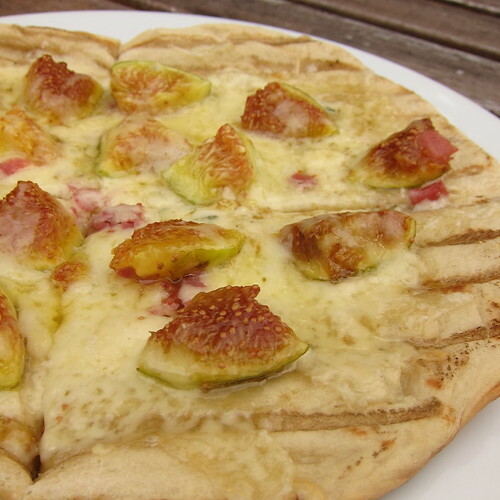 That fig pizza looks delicious! I need to hunt down figs in my area. Lucky Lindsay! Know I need that pizza, yummmmmmy. Thank you so much, everyone! My husband and I (and all of my co-workers!) cannot wait for the figs to arrive. Fig jam, fig sauce, raw figs, figs with cheese and fig ice cream here we come! Congrats to the winner! That is one prize I'm incredibly jealous of! :) That pizza and the jam with the jalapenos sound so good! Figs are wonderful and I love all the ways you have put them to use here! YUM! This all looks so wonderful I can't choose which looks best! The pizza always, but the drink and jam with spice? Wonderful picks!